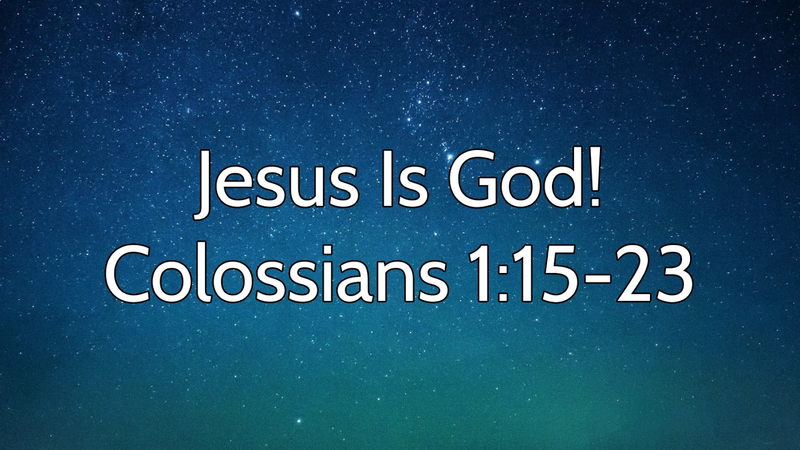 Jesus is God (see verses below) according to the New Testament of the Bible, so therefore Jesus is the same God in the Old Testament, as well. Or is the Bible wrong? A massive 17+ verses in the Bible show that they believe Jesus is god. 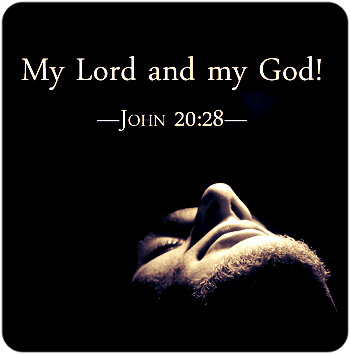 The first words of John's gospel imply that Jesus ("the Word") is God. And Jesus (sometimes) claimed to be God. By declaring himself, "Lord of the Sabbath." By claiming to be the same as God. By saying that he existed before Abraham, using one of God's names, "I am." After hearing Jesus say these things, the Jews tried to stone him to death for claiming to be God. And when Thomas called Jesus God, Jesus didn't correct him. Rather, he said that everyone should believe he is God, even those who have never seen him. The New Testament (sometimes) also refers to Jesus as God. That the church of God was purchased with the blood of God (or maybe the Holy Ghost). That Jesus created all things. That the fulness of the Godhead dwells in Jesus bodily. 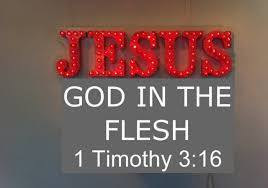 That God was made manifest in Jesus's flesh. That Jesus is the great God who is in the form of God, is equal to God, and sits on the throne of God. In the book of revelation we are introduced to the name “Alpha and Omega,” meaning “first and last,” the connotation being that this Person is timeless, a divine attribute. This name is given to Jesus (Rev1:8, 17, 21:6, 22:13-16) and yet is given to God Almighty (Isa 44:6, 48:12). Jesus claims the same name as God the Father. For more info about Alpha and Omega being a divine name and referring to Jesus click here. Jn 10:30 is one of the most clear statements that Jesus is God. Jesus literally, indisputably, and explicitly said “I am God” by saying “I and the Father are One”, meaning we are the same. In case some would say Jesus meant one as in ’we are together on the same mission’ or of ‘one heart’, the Jews understood Jesus as saying He is God. They literally tried to kill him, they said we will kill you because you “make yourself God.” (John 10:33). They understood this only to mean Jesus “makes himself God” not just another man. An alternate explanation cannot be given. In Jn 1:1 Jesus is called God, the Word, the Logos. The Jehovah’s Witnesses have rewritten a whole bible translation just to change the passage from its very obvious climax of Jesus the Logos being God to merely Jesus as a god, with a little g. Note to everyone, this is the only translation that says this… and its neither correct nor popular (probably because its not correct). Thomas calls Jesus “Lord and God” in Jn 20:28, in the Greek its κύριός (Lord) μου (my) καὶ (and) ὁ θεός (God) μου (my) or basically “my Lord and my God.” Some people try to make ridiculous explanations to avoid it, such as Thomas was either wrong or he spoke of two separate entities, Jesus as an earthly Lord, and God as the heavenly father that was up in the sky. Some even say Thomas spoke to Jesus as a man but in him saw God, though Jesus was not divine. Basically some people will say Thomas was speaking to two entities and thereby people gladly avoid the obvious, that Thomas said to HIM, not to THEM, Jesus is “my Lord and my God.” Col. 2:9is very clear, the fullness of deity or God-hood/God-ness dwells in Jesus. While we have Gods spirit living in us, we cannot say the fullness of deity dwells in us. God lives in us, but his divine nature is not a part of us; Jesus on the other hand had the fullness of Gods divine nature in his body. Also see Heb 1:3. Paul calls Jesus “God and Savior” in Titus 2:13. According to Granville Sharps Rule #1 (a rule used in interpreting Greek texts) “When the copulative kai (“and”) connects two personal nouns (“God,” “Savior”) which are singular and not proper nouns (such as names) both nouns refer to the first-named person.” Basically just in case some “brilliant guy” tries to pull a stunt and say that this refers to two separate entities, the Greek grammar does not work that way. These two nouns (God/Savior) can only refer to one entity, Jesus. You can read more in depth here. In Heb 1:8 we see the Son of God and God used as synonyms. God the Father calls the Son, God. In Acts 20:28 we are told that the blood of Jesus was “Gods own blood.” At the end of the day we can squirm and cringe all we want but Christ is God over all, the true God, this the scriptures are clear on (Rom 9:5; 1 John 5:20). There have been arguments made that Jesus is either just a man, or an archangel like Michael. Yet we are told that Jesus has existed prior to anything that was created. Men and angels all had a beginning, and none of them could in any way be preexistent before God created them. Yet Jesus existed before the angels, before the human race, and before any and all created things. This clearly means Jesus, himself, is not a man or an angel but God. Men, angels, or saints are never prayed to in the scriptures. There are plenty of verses that show people praying to Jesus which is only a divine characteristic. One does not ask another for something if he does not have power to respond. I wouldn’t ask Obama to give me eternal life, he is a man and can’t offer what he doesn’t have. Jesus on the other hand offers eternal life and answer to prayer. If you read Jn 14:13-14 you see Jesus telling humanity to pray to him and he is able to do anything in response. This is something only God can offer, a man does not answer prayers. Often people will say that the word Lord (greek: kyrios) can be a title for a human king. Yet as we see in some of the above scriptures this so-called human title of Lord is prayed to and answers prayers (Acts 1:24, 8:24, 2 Cor 12:8; James 1:5,7; Eph 5:9). This proves beyond a shadow of doubt that our Lord Jesus is not merely a human but has power to hear all prayers and answer all prayers, again showing he is God. When Jesus is led in the desert at tempted by satan Jesus quotes scripture in Matthew 4:10 telling satan that worship belongs to the Lord God. Yet we see the bible filled with scriptures where people fall down and worship Jesus Christ. Did Jesus contradict himself? Did Jesus stop believing the very scripture he quoted and change his mind to allow people to worship him? We have only one of two options: either Jesus is a liar (telling satan only God is to be worshiped yet himself getting worship) or Jesus is God. In Scripture (Acts 10:25-26, Rev 19:10, 22:8-9) we see the proper response of a mere human and then an angel to worship. Jesus did not have this response because Jesus is not mere human or angel, he is God. The book of Revelation shows this more clearly, Jesus is worshiped by all of the heavens! The very same angel that tells John “don’t worship me, worship God” is among the heavenly host who worship and sing praises to Jesus the Lamb. Rev 22:3,4-5 summarizes the grand majesty of the Lamb sitting on the throne of God where all nations and peoples will worship Him. Jesus at one point says “Only God is Good” then later says he is the “Good Shepherd.” Does Jesus contradict himself or lie in one of these statements? The only options we have are (1) both statements are true and Jesus is God or (2) both or one of the statements are not true and Jesus is a liar. People can easily get confused with Luke 18:19 so let’s look at it in detail: Jesus did not say “don’t call me good” / “stop calling me good” / “I am not good.” Our minds easily can easily assume that & add it but it’s not in the text. It’s not there. We ourselves only imply that’s what Jesus meant, that he meant “don’t.” Instead of stopping the rich guy and telling him his statement was wrong, all Jesus did was ask him question “why do you do it?” Jesus made an inquiry that was intended to cause him to think about his statement and its natural conclusion. The guy called Jesus merely a human teacher, but he also used this in conjunction with the word ‘Good.’ When Jesus says “Why did you call me good” if “only God is good” he basically tells this rich young ruler that calling someone Good is the same as calling him God, and this guy did call Jesus Good and thus also called him God. Jesus wanted him to understand that. So in essence he said “Hey why do you call me this word if its only used on God? Do you get what you are saying I am?” He is the Good shepherd, and as Jesus himself said, only God is Good. There is a little confusion about how Jesus can be in different places at the same time. Many people would like to point to statements that Jesus was at one point in a particular city or town. Also when he was resurrected the bible says he ascended to the right hand of God. All of this terminology may seem to imply Jesus is like men and angels, confined to only being present in one place at one time. However, the scriptures (as we will see below) show Jesus as being present in all places at the same time. The answer to this is that Jesus was had both a divine nature and a human nature, unmixed, existing in one body (this is called the hypostatic union.) His divine nature fills the earth but his earthly body could only exist in one place at a time. Then when we see Jesus in heaven at the right hand of God, this does not prove he is only in one place (because God the Father being at the left of Christ the Son is also present everywhere else). When Jesus ascended his glorified body went into the heavens but yet his divine nature fills all things and is present everywhere. The bible says that Jesus fills all things (Eph 1:22-23, 4:10). How can a man fill all things? Scripture says Jesus is everywhere that two or three are gathered in his name (Mat 18:20, 28:20), is that possible for a man or angel to do? Never! 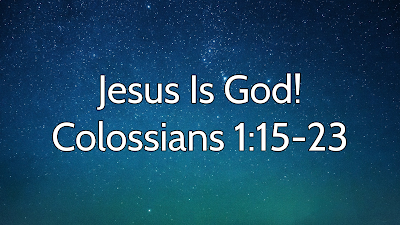 In fact Jesus Christ also dwells in every believer and this is a core doctrine of the bible (John 14:20,23; Rom 8:10; 2 Cor 13:5; Gal 2:20; Eph 3:17; Col 1:27). Regardless of what strain of Jesus-denying heresy you ascribe to, Jesus is everywhere at the same time, no man angel or created being can do this. Jesus is God who fills all things with his presence. There have been plenty of biblical prophets who have done amazing things such as raise people from the dead or bring fire down from heaven. However, not one of them claimed this power as their own or ever said, thought, or hinted that ALL power was given over to them. Jesus on the other hand tells it plainly and clearly that ALL power in the heaven and the earth is his and solely in his control (Mat 11:27, 28:18; John 5:27). In fact, Paul in 1 Tim 6:15 names Jesus Christ, the King of Kings as Sovereign, or all-powerful. The saints in Revelation also call the Lord (Greek: ‘kyrios’ so its Jesus) as Sovereign. Some would say they are praying to God, but they ask the sovereign Lord to start judging, and the bible says Jesus will judge not God. The scriptures are clear Jesus Christ is sovereign, he has all power, authority, dominion, rule, and everlasting supremacy; no created being has equivalent power to him. Jesus even controls the angels, and not merely as a leader of them, but instead they are called “his” angels; Jesus owns them (Mat 24:30-31). Jesus also has the power to forgive (Luke 5:20; 7:47-48, 23:42-43, Mark 2:5,10; Mat 26:28). None of the prophets whom God used to display his power had the power to forgive, and the Hebrews clearly knew otherwise: that the power to forgive sins was only in the hands of God Himself (Mark 2:7). They called Jesus a blasphemer because he claimed the power to forgive and this was and is only reserved for God. Either Jesus is a blaspheming liar who made himself to be God, or he is God incarnate who truly has the power to forgive sins. Jesus is recorded many times as certainly knowing the future, and while the prophets of old have predicted the future they have always claimed “thus says the Lord,” Jesus knows from his own self. (Matt 12:40, 16:21, 17:9,11-12,22-23,27, 20:18-19, 21:39, 24:2, 26:2,12,21,31-34,54; Mark 8:31, 9:31, 10:32-34, 14:9,18,27-30,42,49, 26:34, 26:46; Luke 9:22,44, 11:30, 12:50, 17:25, 18:31-33, 22: 10-13, 15, 21-22, 32, 34, 37; John 2:19, 3:14, 6:64, 8:14, 10:11,15,17-18, 12:32-34, 13:18-21, 14:19, 15:13, 16:20, 18:4, 18:11, 21:18-19). In addition Jesus knows the inner desires of men’s hearts as well as their thoughts or inclinations before they are revealed (Mark 2:8, 3:1-5; Luke 6:8, 9:47; Mat 9:4, 22:18, John 5:25, John 10:13). The scriptures say that only God knows and searches men’s hearts, a human cannot do this. In my childhood I remember hearing many debates about whether the devil can read our minds, and the answer always ended up being “no, that only God being omniscient can read minds, even satan cannot because he is only a fallen angel.” Yet the scriptures say Jesus can read minds and knows hearts of men (John 1:47, 2:24-25, 4:29). Furthermore the bible says Jesus knows everything that everyone has ever thought or done (John 5:22; Acts 1:24; 10:42; 2 Cor 5:10; 2 Tim 4:1; Rev 22:12-13). How is this ever possible for a human being? It is not! Only God can know the hearts of all men and be able to judge every last human being for every thought, intention, deed, and action. No man or angel could know every single humans thought, feeling, contemplation, motive, and deed from the beginning to the end of time; only He who is Alpha and Omega, our Lord and God Jesus knows this.